Happy Easter to everyone and I hope you are all having the loveliest of times wherever you are and whatever you are doing. 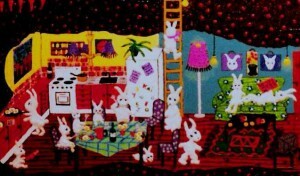 This is how rabbits really live! 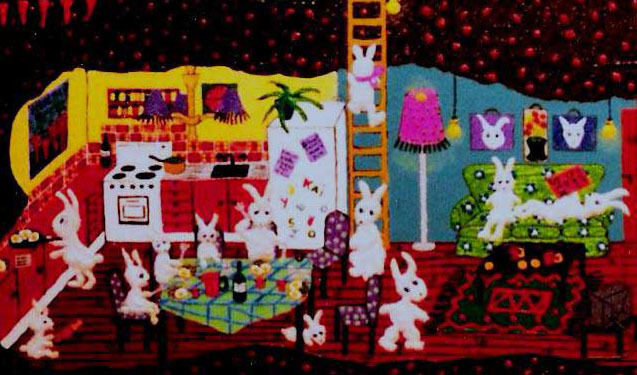 This acrylic painting “You and me and Bunny makes three” was one I painted many years ago when I first started out as an artist. I have always been fascinated with animals and wonder how they are feeling and what they think. I think we don’t give them enough credit and assume they only do things by instinct and not because they actually think about things. I feel sure they are a lot more like us humans. 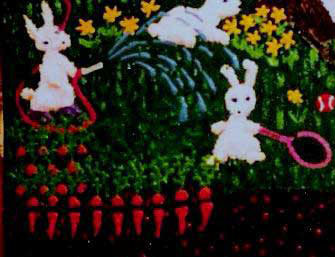 That said perhaps I have gone a tad overboard in my depiction of how the rabbits live – but you never know – have you been down a rabbit hole? Really, if I could I would have asked our darling dog Moses who lived to be 18 years old; he had the heads up when it came to rabbits and their dwellings. When we lived in a renovated church, we had the grave yard right next to the house and the rabbits thought the grave yard was the perfect place for their burrows, so nearly every grave had a hole or two going down into it. My little dog Moses thought it was so much fun to chase the rabbits down there, as he just fitted into the holes. Quick as a flash he would be gone and I was always so worried when he disappeared as I thought he might get stuck underground, or even worse come out with a bone in his mouth and not of the rabbit variety, lol! We were told when we moved in, that the graveyard was not used anymore, and we never felt one bit of unease living so close to it. It seemed to me to be a very peaceful place however I was a little bit unsettled when I came home from work one day and found that a fresh grave had been dug and there was a big mound with flowers left over from a funeral. That feeling passed however and nobody that had been put to rest there ever came back to visit or haunt us. We spent many wonderful Easters both in the church and at the farm and now this year will be the first one in the new house by the sea. Things are still a work in progress around here but we will be joined by both kids and their lovely partners for a little celebration. We won’t be having all the trimmings as there is only so much you can do when you live in on a building site, lol. However I can guarantee that there will be lots of food and wine and laughs anyway. How us crazy Swedes normally celebrate Easter is something I have already written about and if you missed this Blog 2. 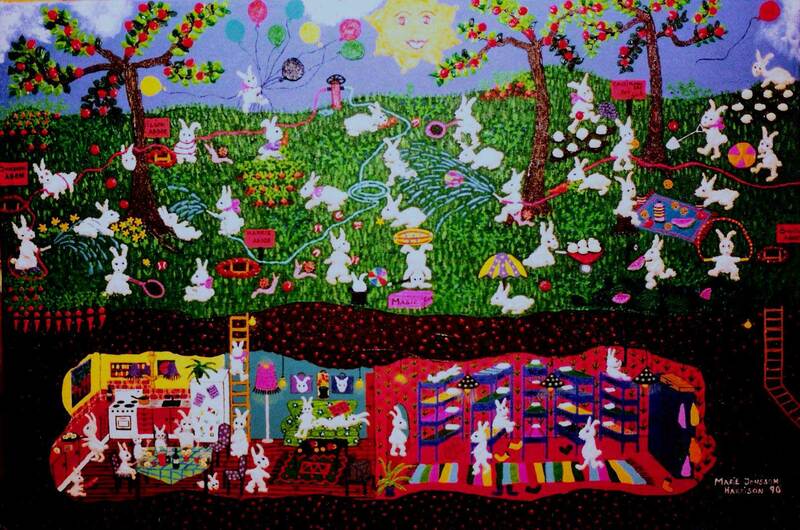 SWEDISH EASTER & Art I would really urge you to have a look as it is quite a scream and has enjoyed a lot of traffic on the net!